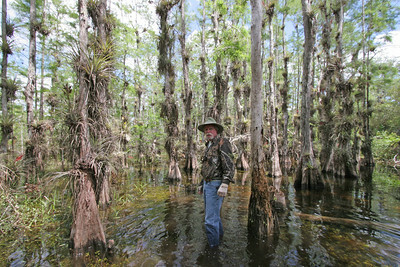 This is in an area with very little water during the drought season in the Florida Everglades. 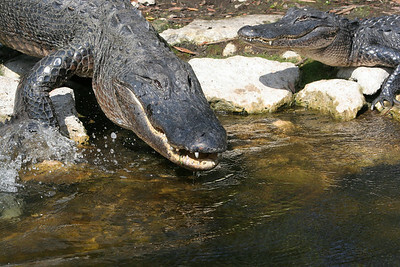 The Alligators are piled on top of each other all trying to stay in the water and survive. 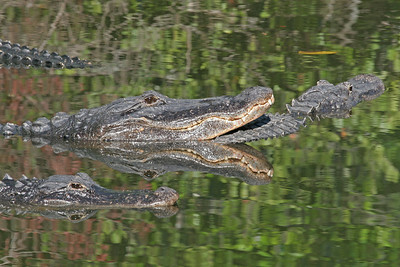 This picture is one of the many under Reptiles in "Reflections of the Everglades " book. 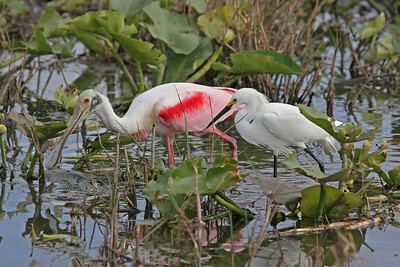 Roseate Spoon Bill and a White Egret Wading together looking for food to share or maybe steal from the other one. 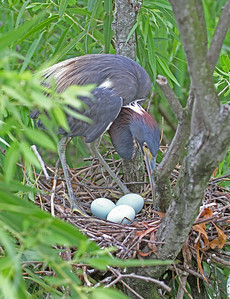 Notice the color in the Spoon Bill as the color is determined by how many and the kind of crustacians that they eat. 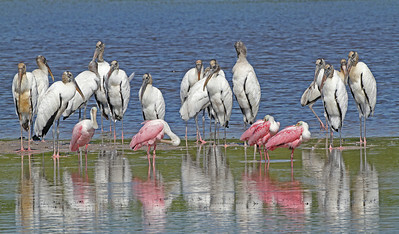 Roseate Spoon bills grouping together. Notice the dark pink color that is caused by the type of food they eat, the type of Crustacians and the shrimp that they find in certain areas. This Gator had his eye on Capt. Don while he was taking photos and he actually charged him and Capt Don said it was the first gator that ever tried to get him for dinner. Just look at the eyes and the speed of the foot on the left side of the picture. 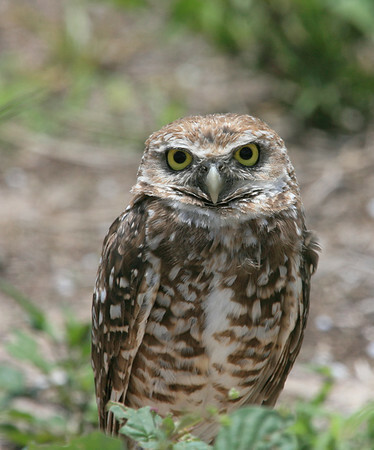 This is a Marco Island Burrowing Owl. They are so cute and usually have between 4 and 8 babies in their nests. 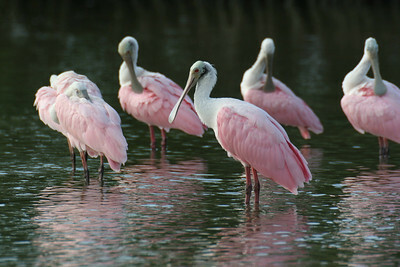 You can see these wonderful birds on several places on Marco Island. they are protected and have strict fines for anyone who endangers them. A magnificient Cypress tree with many air plants, bromiliads and orchids on it. 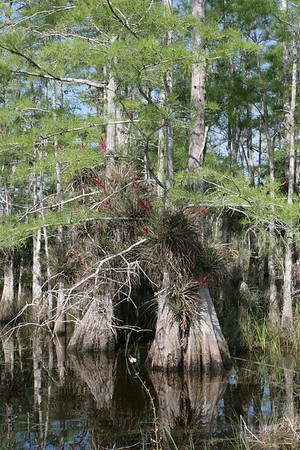 As long as there is water these cypress trees will grow and thrive. When the water receeds they will last but don't have the nice green foliage that they have in the rainy months. 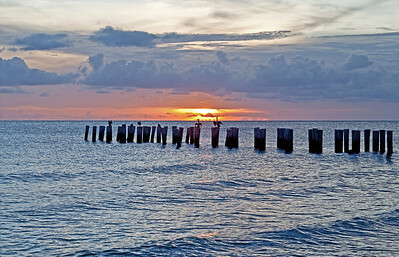 This is how Capt Don goes out into the Everglades to capture his Photographs. Sometimes encountering, Bears, Panthers, Pythons, Rattlesnakes and of course Gators, Small and HUGE. Each day he travels into the back woods and swamps of the Everglades he is going on an adventure that most of us will never experience . It is wonderful that He has been able to capture some of the animals and sights that might not be here for our children and grandchildren to enjoy in the next 10 years. 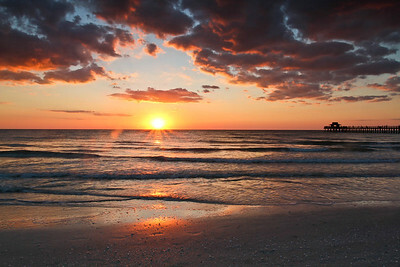 This Photgraph is one that Capt. Don took hundreds of photos to capture the perfect grouping. 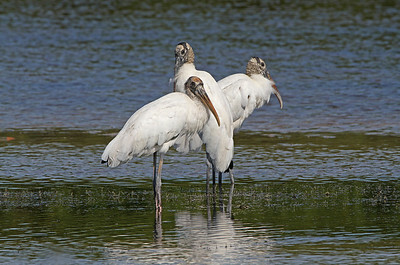 The name" At the Bar" represents the feeling he had when he saw the Wood storks gathering with the beautiful Spoon Bills, the reflections was just perfect that day and it is one of his favorite personal photos in his collection.